Today was a wonderful day. 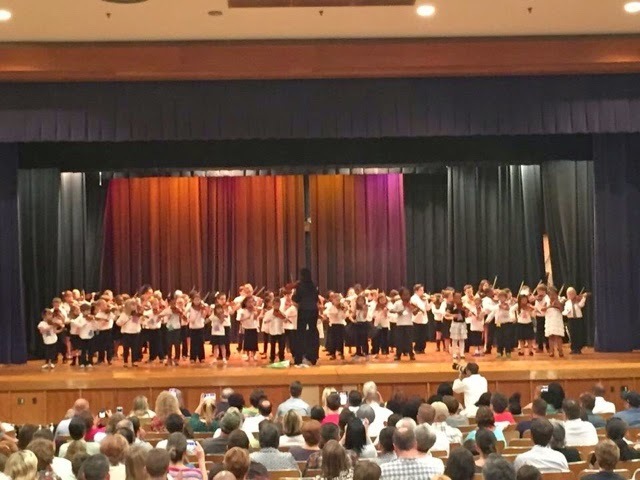 We just got back from my daughters violin recital and it was beautiful listening on how far the elementary students have progressed since the beginning of the school year. If you look close enough you can see the back of my head and my phone display. I had to record my baby!! Don't they look so cute? Enough about me bragging. Snickerdoodle Sunday Memorial Day Edition.